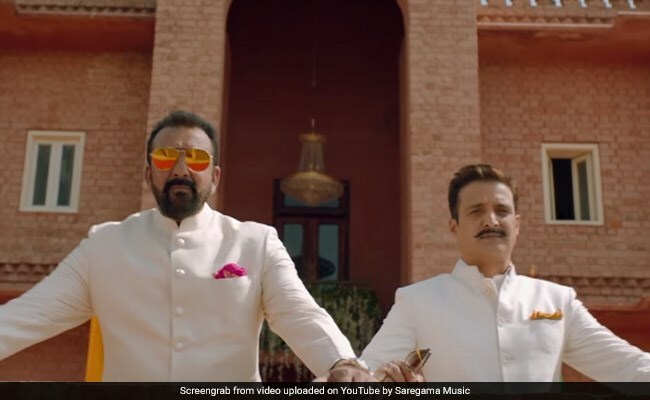 #JimmyShergill who is gearing up for the release of #SahebBiwiAurGangster3, said he wants to do more comedy film and it makes him feel relaxed. Jimmy along with co star Chitrangada Singh and Mahi Gill interacted with media during the film's promotion on Friday in Mumbai. Jimmy who has worked him Sanjay Dutt in Munna Bhai series and in Eklavya will be seen together again in 'Saheb Biwi Aur Gangster 3'. When talking about the success of Sanjay Dutt's biopic he said, "Baba is the flavor of the season right now and Sanju just did great business on box office. And now people will see him in Saheb Biwi aur Gangster in a few role and him working him Himashi (Dhulia) is a great combination. His birthday is coming soon so this is his season and we are looking forward to that." 'Saheb Biwi Aur Gangster' Franchise has had a loyal fan following since its first film when asked what responses are they receiving for the film Jimmy said, "The series has been continuing because people loved the first film. Which is why there was a second and a third. The cast grew with each film, the first movie was about only three people and now the story is a lot more than that. So far we have received positive response for the trailer and we look forward to the film's release." Jimmy will be next seen in the second part 'Happy Bhag Jayegi' when asked when the film will be ready for release he said, "The film's trailer will come out in a few days and then we will talk about it. It is a fun film we also had lots of fun while shooting for it in Punjab, Mumbai, Thailand, China, and Malaysia. We shot in somany countries because she is running and everyone is running, There is an amazing madness in the film and everyone will love it, You will soon find out when the trailer comes out." Saheb Biwi Aur Gangster 3 is the third installment in the hit series since the first released in 2011. The film has an ensemble star cast of Sanjay Dutt, Jimmy Shergill, Mahi Gill, Chitrangada Singh and Soha Ali Khan.